Nothing is more beautiful than the arrival of Spring in Japan when the cherry blossoms trees are in full bloom. 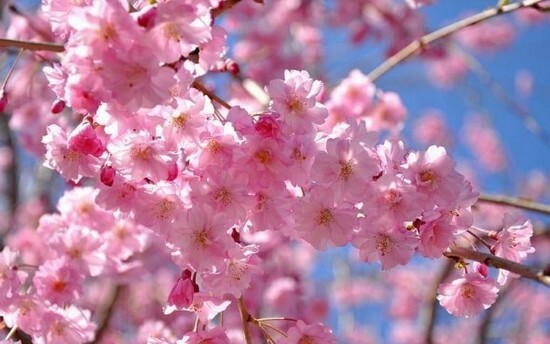 The unofficial flowers of Japan, the spectacular display of blossoms that arrive in the spring are celebrated by festivals both in Japan and the U.S. The most popular colors are white and pink. They are beautiful while on the trees and remain a stunning sight even after carpeting the ground. 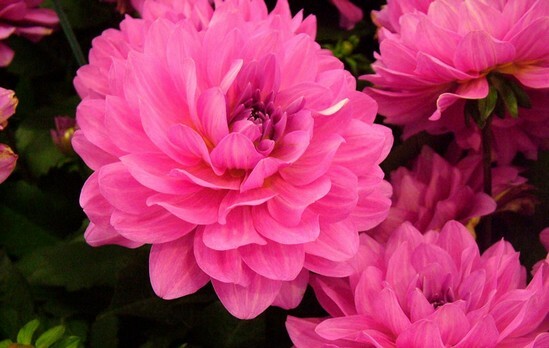 The dahlia is a genus native to Central America, Colombia and Mexico and they are characterized as bushy, tuberous and perennial plants. The plant was named after the botanist Anders Dahl. There are roughly 30 species and at least 20,000 cultivars. These whimsical, almost fairy-like blossoms are a traditional favorite in shady gardens. 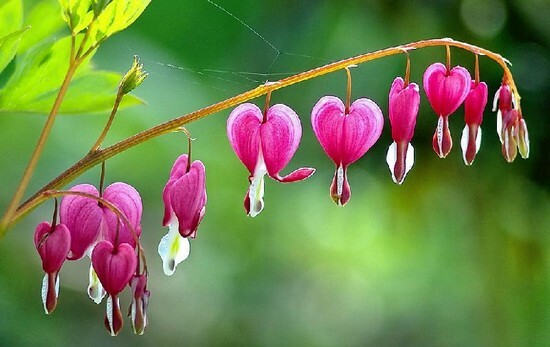 The flowers are either red, pink or white and appear in April-June. 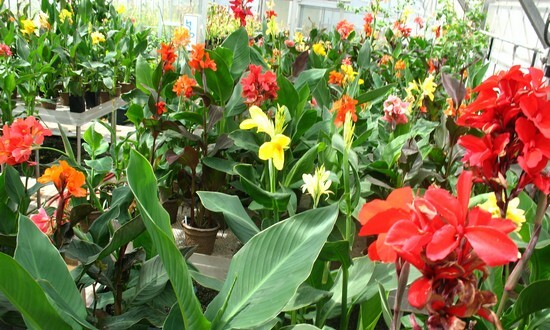 Canna (or canna lily, although not a true lily) is a genus of nineteen species of flowering plants. The closest living relations to cannas are the other plant families of the order Zingiberales, that is the Zingiberaceae (gingers), Musaceae (bananas), Marantaceae, Heliconiaceae, Strelitziaceae, etc. From the genus Rosa, Roses are one of the most romantic and wonderfully scented of flowers. The giving of roses is steeped in tradition and cultural meaning, from the yellow rose of friendship to the deep red rose of true love. The rose is a woody perennial shrub whose varieties’ stems are often thorned. Most species are found in Asia but it is generally well distributed all over the world. 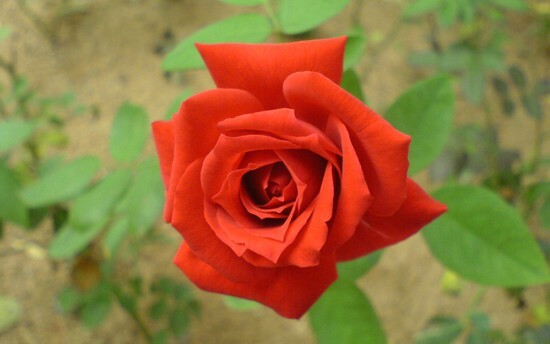 Roses are considered one of the most beautiful ornamental plants to decorate any garden. 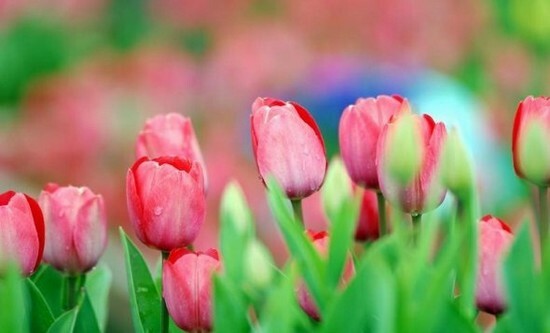 The tulip is one of the most cultivated flowers in the world as it is distributed from Southern Europe to Africa to Asia. Most of its hybrids are grown in pots and are a popular fresh-cut flowers. Although the Dutch are the usual suspects when it comes to breeding the species, the first commercial cultivation of the plant actually happened in Iran. 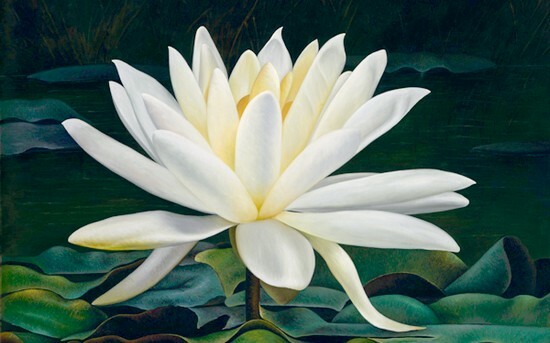 The white lotus is called the Egyptian white waterlily or the tiger lotus. The species comes from the Nymphaeaceae family and grows in various parts of Southerast Asia and East Africa. The blossoms float on water with the support of its lily pads. The white lotus is also a popural pond and aquarium plant.